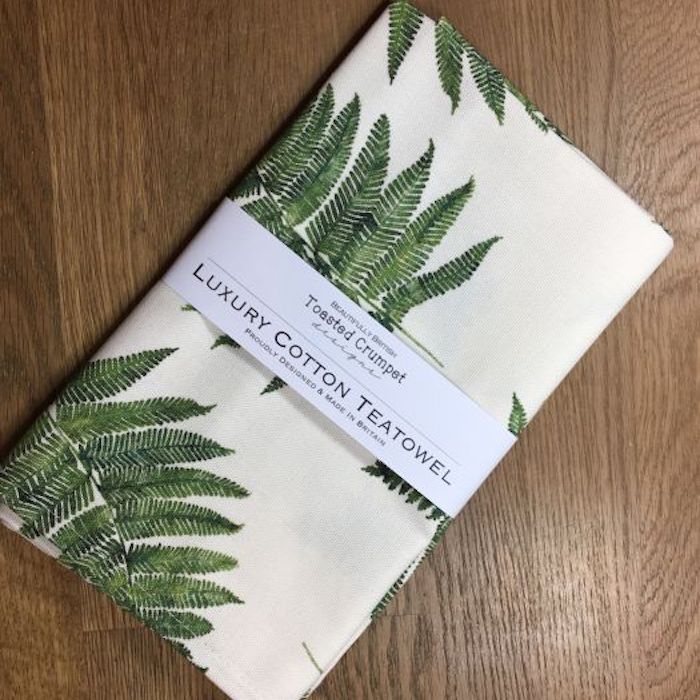 Luxury 100% cotton teatowel from Toasted Crumpet. Based on a Toasted Crumpet original watercolour painting of ferns. Size: 76cm x 48cm. Machine washable.